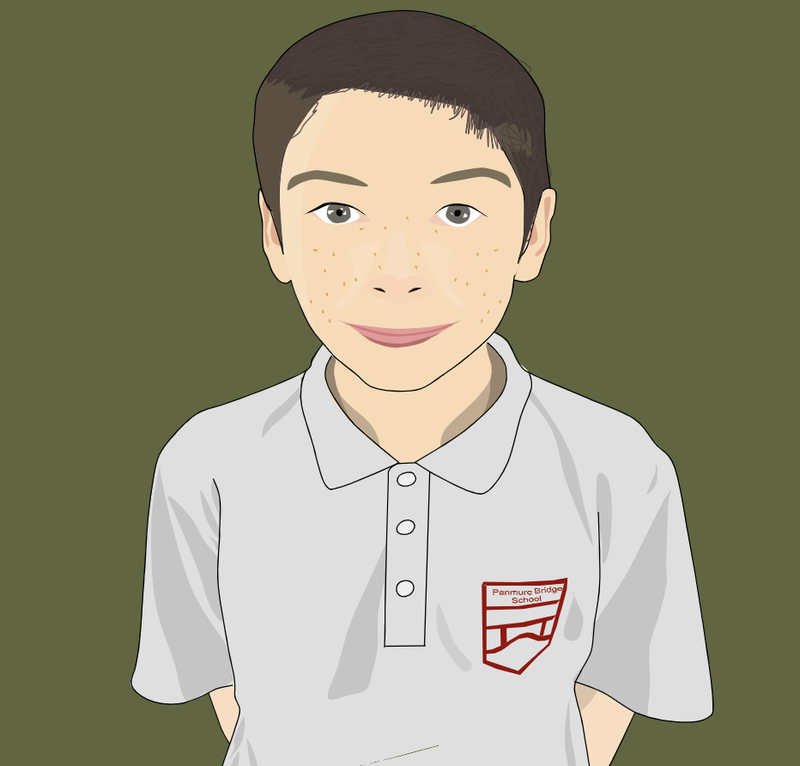 L.I: Identify actions and factors that can prevent a team from working. 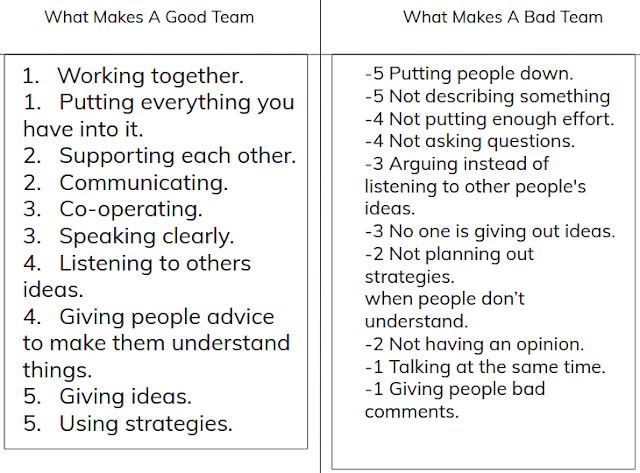 For the next two weeks of inquiry, our focus is what makes a good team. 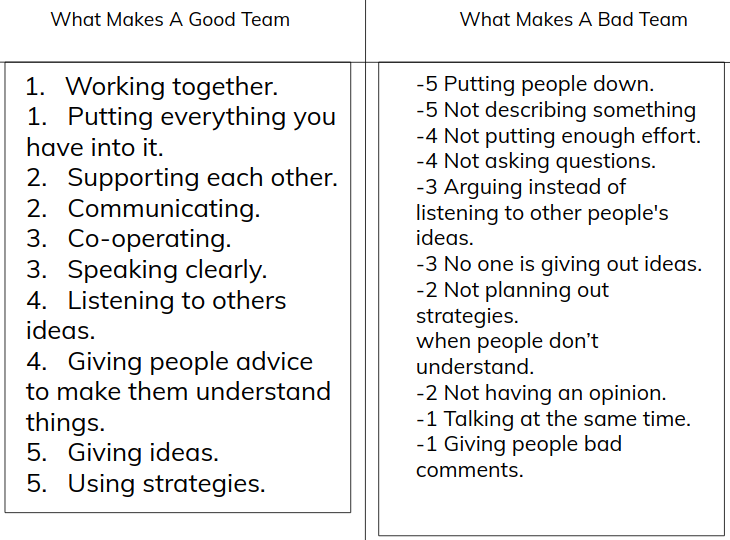 The activity for today was to make a T Chart, that shows what make a good team, and what makes a bad team. Each side needed 10 examples, and we needed to rate what would be most effective, to what wouldn't be as effective. For the good team column, we needed to rate them from 1 - 5, two for each rating. For the bad team column, we needed to rate them from - 5 - -1, two for each rating. After this quick activity, we started to have some fun (Not that we weren't having fun in the first place). We played 2 and a half games, I say 2 and a half, because the last game we didn't completely finish. Our games we played were, Silly bones (Run around, when a number, and body part is called, get into a group of that number, and connect that body part), Cars (Get a partner, one person doesn't move without instructions, other person taps their partners shoulder to tell them where to go. Try not to make your partner crash into a wall, or other person), and our last activity was a game where you get into a circle, get an omnikin ball (Omnikin balls are very big balls filled with air), and try to get the ball moving around the circle with your legs only.